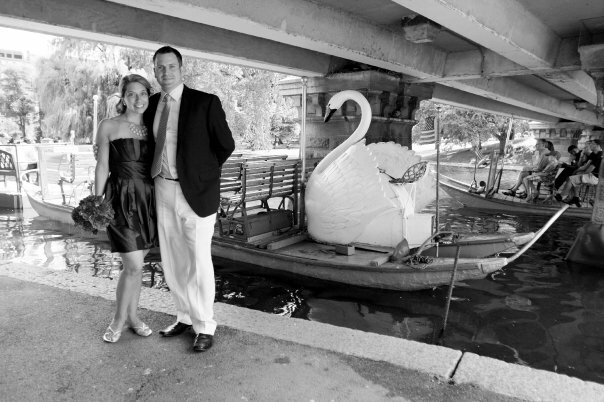 A couple months ago we attended a Brewmaster’s Social at the Weekapaug Inn. The foods were all paired with beers from Narragansett Brewery, a local favorite. For dessert there was a decadent chocolate stout cake which was oozing with the flavor of the Autocrat Coffee Milk Stout. Here in Rhode Island, where we live, coffee milk is a big thing. So big they even serve it in schools. Coffee milk in schools?! Sounds crazy, right? Almost as crazy as a beer flavored with it. But trust me….it works. We loved the cake and decided to make a cookie version for National Cookie Day, which is today! If you are anything like me, cookies are your go to dessert. Before anything else I will always choose a cookie. Not just any cookie though. It has to have some umph to it. It has to be a little chewy. It has to have a lot of flavor. Most of all it has to be perfect with a glass of milk. 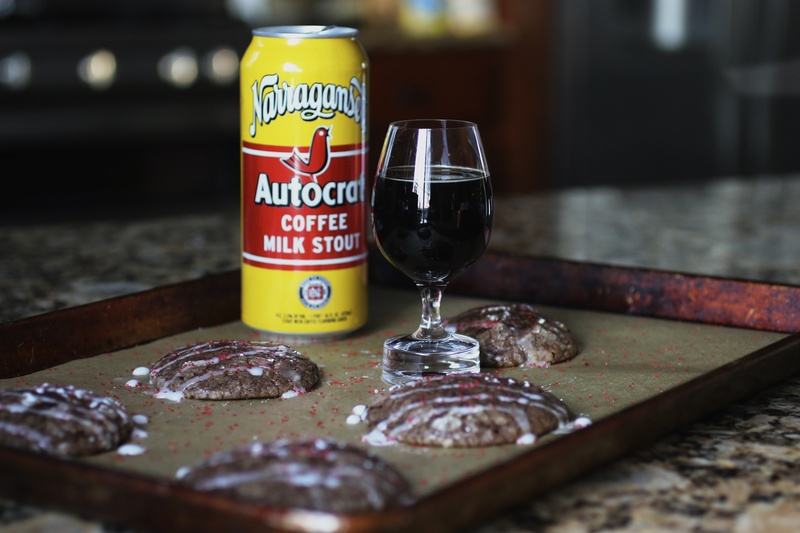 These coffee milk stout cookies are all of those things. We glazed ours with a simple confectioner’s sugar glaze and topped with tiny red sugar crystal sprinkles. In large bowl whisk flour, cocoa powder, baking powder, baking soda, salt and powdered sugar. Set aside. In separate bowl combine light brown sugar, eggs, stout and vanilla paste. Whisk together until smooth. Melt butter and baking chocolate over small double boiler. Allow to cool slightly and then add to beer mixture, whisking in. Fold in flour mixture until just combined. Batter will be very loose- more like a cake batter than a cookie batter. Chill in fridge for an hour. You will find that the batter will thicken up. Scoop batter into ball shapes and then roll in sugar and then again in powdered sugar. Place onto Silpat lined baking sheets and bake for about 15 minutes. Allow to cool completely before drizzling with a mixture of powdered sugar and water. I like to use a squeeze bottle to make the drizzling easy. Top with sugared sprinkles. We love the slight outside crunch of this cookie with the super soft gooey inside. The cookie has a mocha flavor – more so than stout, so next time I might try playing with the amount of beer we use, just to really get the flavor balance in check. They are the perfect cookie to end the night…or even dunk in a glass of cold milk.